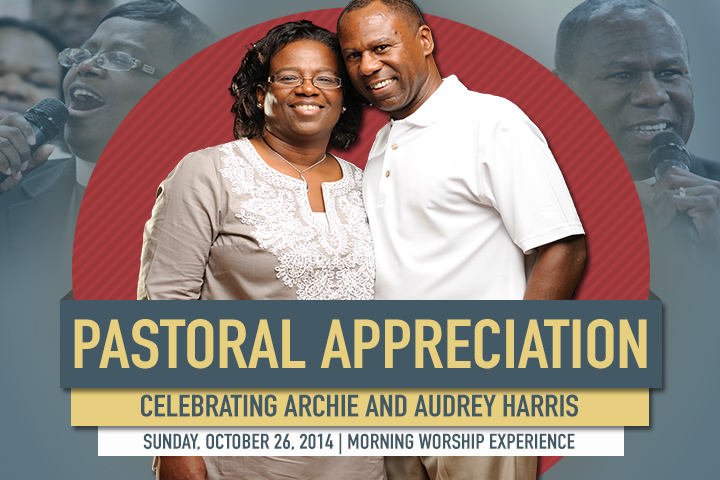 Join us in the month of October, as we celebrate our pastors and show them appreciation for 18 years of ministry. Invite your friends and families to the numerous celebratory events we have for our pastors. On October 26, 2014 we will hold an appreciation service with guest speaker Pastor Michael Johnson, from Light of the Word Church and Ministries. Immediately following the service we will hold an appreciation luncheon and all are invited to attend. To send your love to pastor for the anniversary, leave your comment in the form below.